Irresistible curry, perfect for rotis and rice too. Love this theeyal and favorite one..
Yummy gravy recipe, looks absolutely delicious. flavorful n healthy curry...looks delicious!! 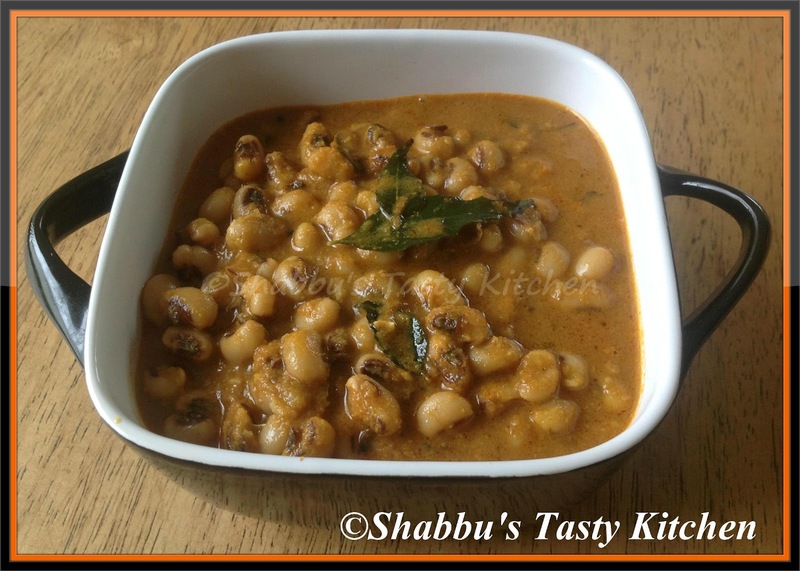 I haven't theeyal with any beans, but your version looks delicious, sure going to try this one. Looks super healthy and seriously irresistible theeyal. I am so sorry for not including your entries. This was the 1st time I posted something like this. I'm not a blogger. I'm actually Kavi's friend substituting for her while she is on a break for exams. Even though she told me to be careful to include all the eligible entries for the Roundup, I seem to have missed yours! Its absolutely my fault and there are no excuses. There were just way too many entries for me to verify and I wasn't sure how to handle it properly! I do feel really bad, I hope you understand I can't change it now. Theeyal looks delicious...Nice idea of using black eyed beans..